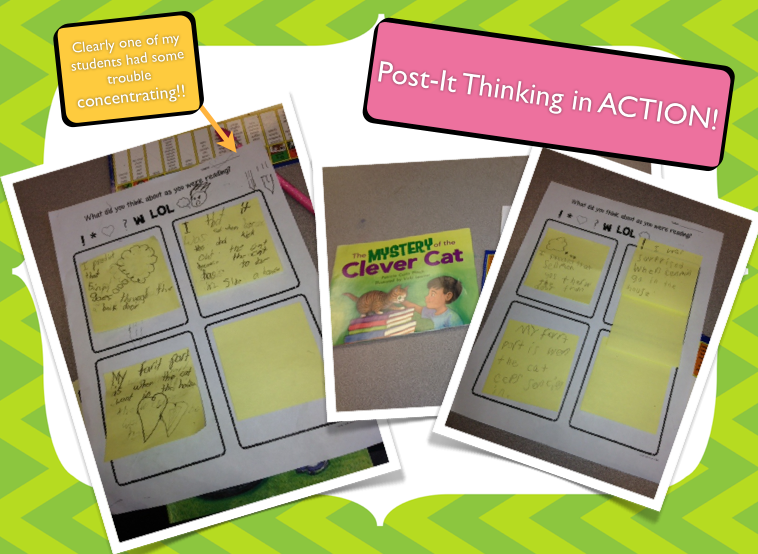 Table Talk with C and C: Reading is Thinking...with Post-Its! 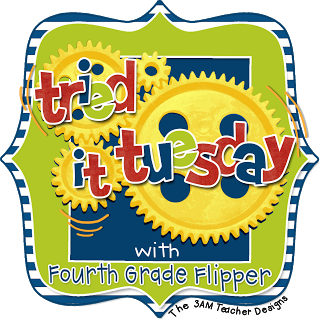 For Today's Tried It Tuesday, I showed my little 2nd grade friends that READING IS THINKING!! These last few weeks of school I have decided to up the anty with my 2nd grade students who are reading at an early 2nd grade level. We have been focusing so much on reading strategies, retelling, problem/solution, making predictions, asking questions, non-fiction strategies that I wanted to make sure I taught my little friends a little bit more about what WE do as readers! and put them on the “POST-IT” page. In order to activate students’ thinking processes (metacognition), It would be beneficial to teach what thinking looks like during a whole group lesson and then in guided reading. Eventually, students should be able to carry this thinking process into their independent reading books to demonstrate their thinking. Students were very excited to use the fun "THINK SYMBOLS" on their post-it notes and write their thinking with the support of the sentence stems! I was thrilled to see that students were able to independently write their thoughts down using their guided reading books! 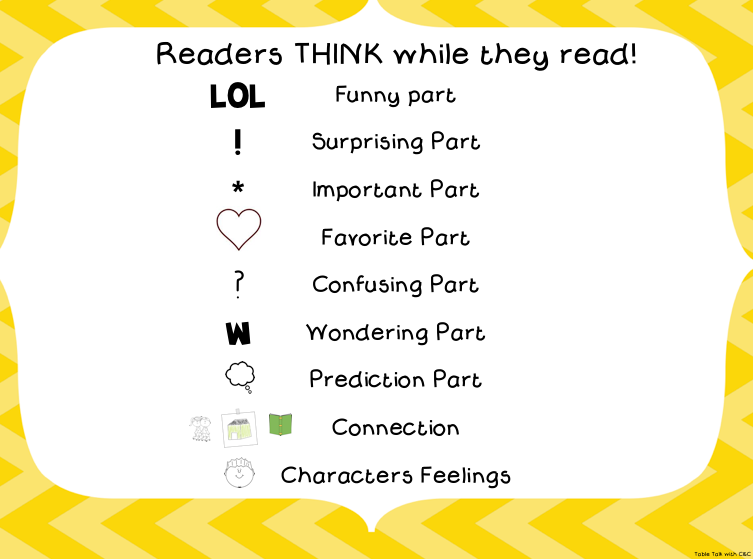 If you're interested in helping your readers make meaning out of what they're reading...head on over to my TpT store! Click here to purchase your own copy! 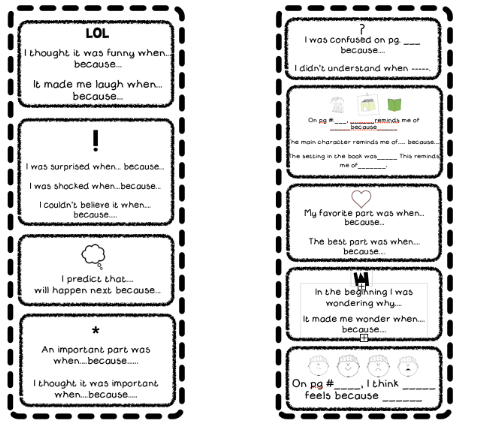 * Mini sentence stem posters for students to put on a ring. 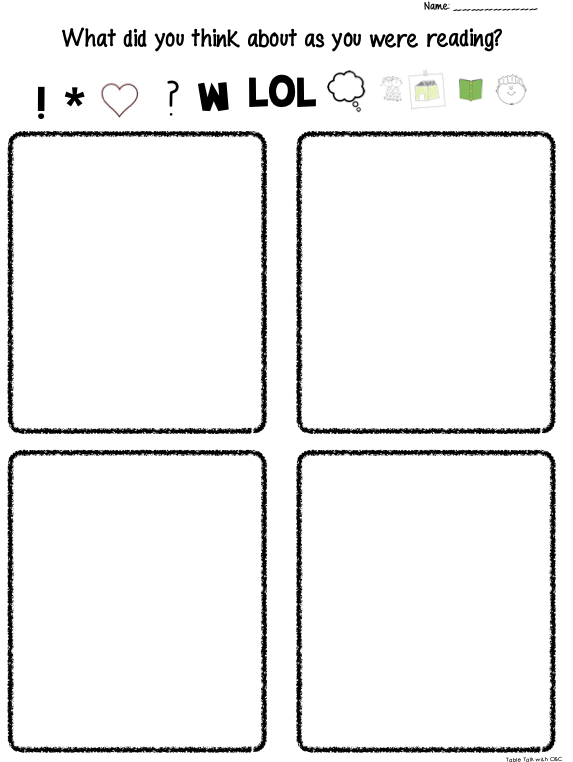 *Page for students to place their post-it notes (thinking) about the book they are reading. I do something similar with my kiddos but I have never added LOL! I bet they love that! Cuteness! 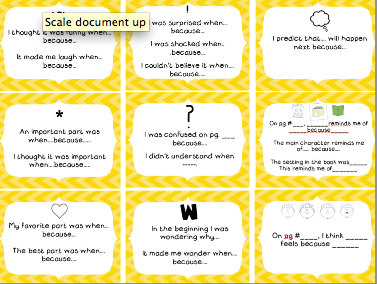 I love your graphic organizer and the post-its students used with it! 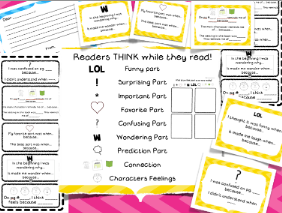 Reading IS thinking-great concept to teach! !